Life hasn’t been all vertical rescue, lifeguarding, and schoolwork for Melissa and I. We’ve had a couple other fun outdoor adventures as well. For times sake, I’ll just present a quick list. 1. 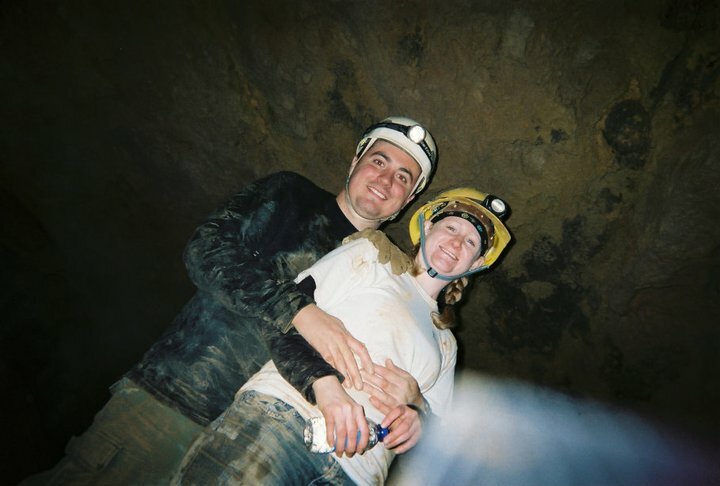 Caving at Lost World Caverns: Lost World Caverns, in Lewisburg West Virginia, has got to be one of the coolest caves I’ve ever been in. Huge rooms, awesome formations, and its a big cave too! Dawn invited a bunch of people out to the cave for a birthday bash. If you get out in that way, you really should stop by, its well worth the admission fee. Obligatory coupley shot. Photo by Dawn McCoy. Crap. Stuck. Notice the look of fear. Melissa got through just fine. She's tiny though. 2. 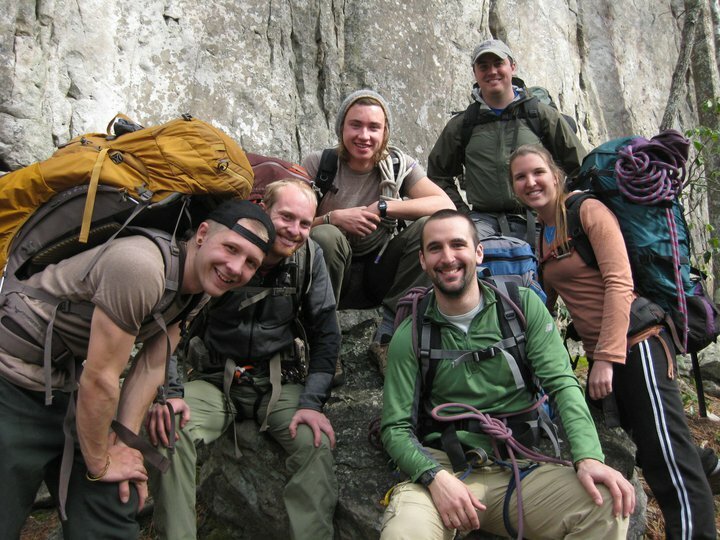 PCIA Course: PCIA stands for “Professional Climbing Instructor’s Association,” and you can find a link to the website on the sidebar under Climbing. I took a three day class this past March to become a Base Managed Climbing Area Instructor. I enjoyed the class immensely, and learned a lot. It was a fast paced, very challenging course, made even more challenging by the low temperatures and frequent precipitation. Group shot of my PCIA classmates and I. 3. Demands of Life: We’ve also been working through the various demands of life. Melissa is almost done with her last full year of Seminary. She’s been finishing up lots of projects and papers, and has also been filling her part-time job on weekends. I’ve been working a lot at the waterpark. This week (so far) I’ve put in 44 hours, and I have another 8 or so to go tomorrow. I’m looking forward to my last day, which is finally almost within reach (May 6th!). 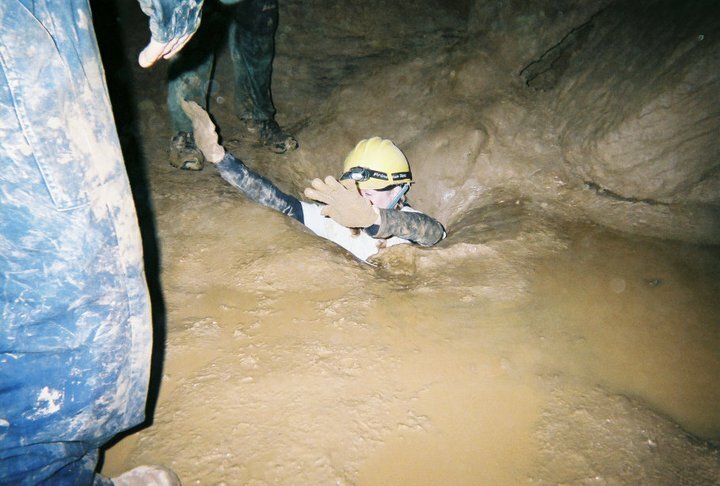 In other news (random bit here), my favorite caves in West Virginia are now open again. 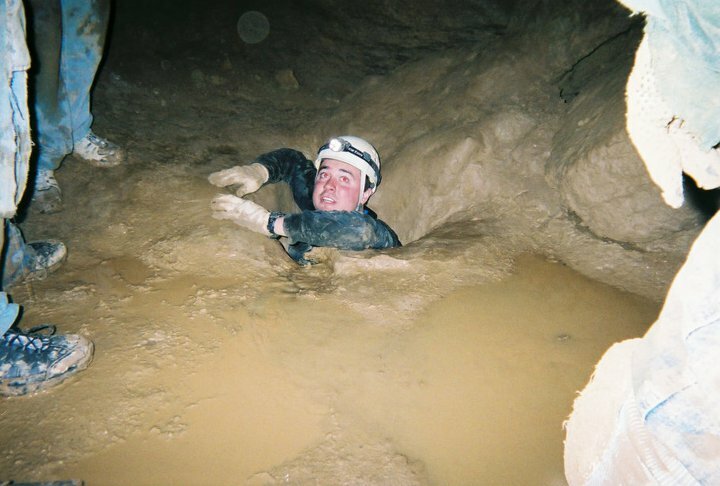 So if you’d like a day underground, let me know, I might be looking to head out there at some point. You may have noticed that things have been a bit quiet lately around Mountain Ramblings; no, I am not about to suddenly stop posting, and the blog isn’t going anywhere. The fact of the matter is I’ve been horrendously busy. In fact, today is my first day off after working four double shifts this week. It was nice to sleep in! The biggest thing that has happened lately is EHART. 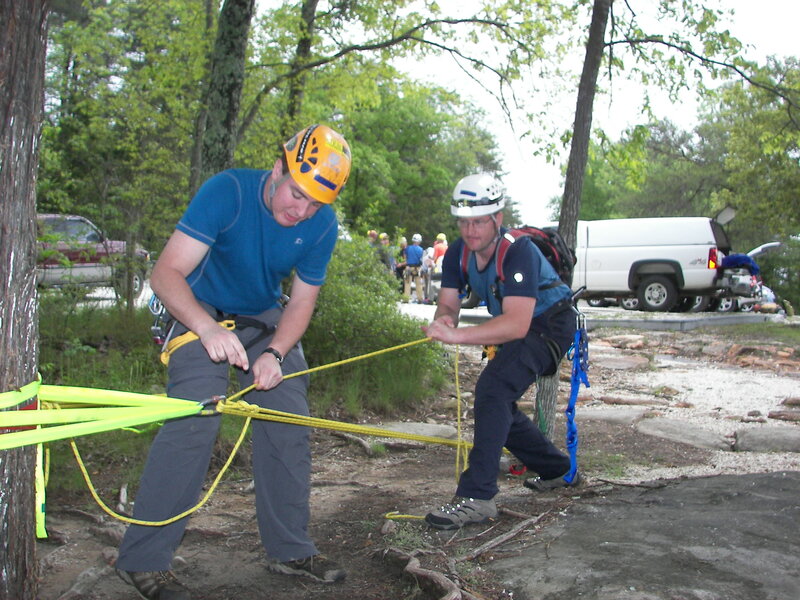 EHART stands for “Eastern Region High Angle Rescue Training,” and is put on every year by the National Park Service. 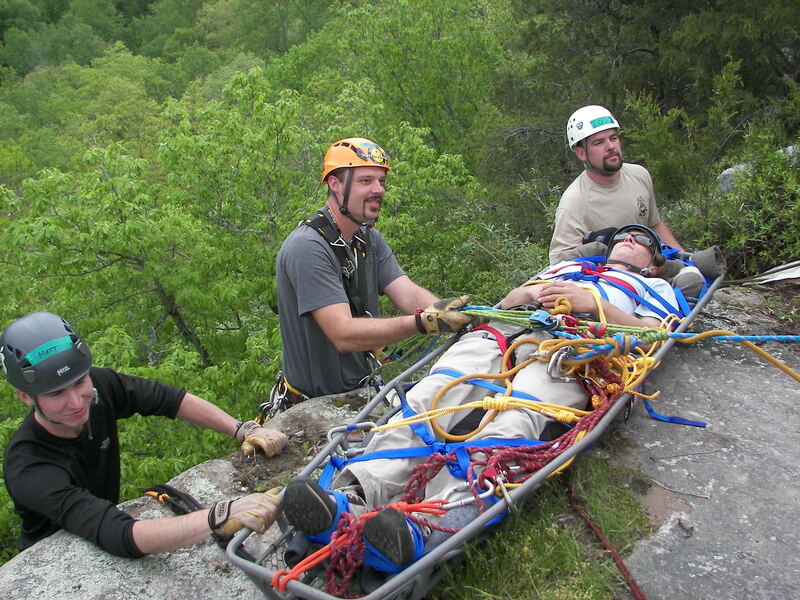 This year the training was held at Little River Canyon National Preserve in Alabama. 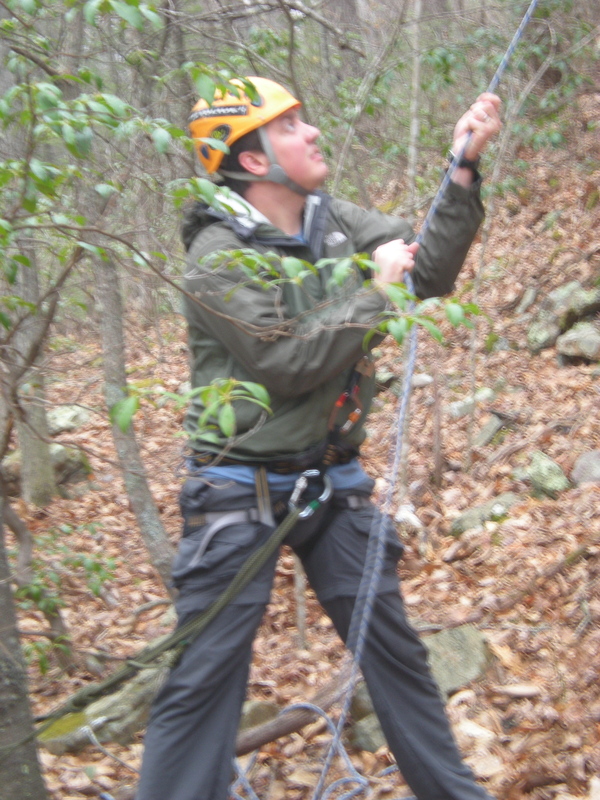 I was privileged to be able to attend with several other mountain stewards attached to Old Rag Mountain Stewards. Little River Canyon National Preserve. Photo by Ben Minehart. What a week it was! I’ve always wanted to learn high angle and rope rescue techniques, and have been studying them on my own for the past year, but I actually got to put into use many of the things I’ve been reading about. I learned a lot of new stuff too, and a whole lot of new techniques. It was a full, very packed week. 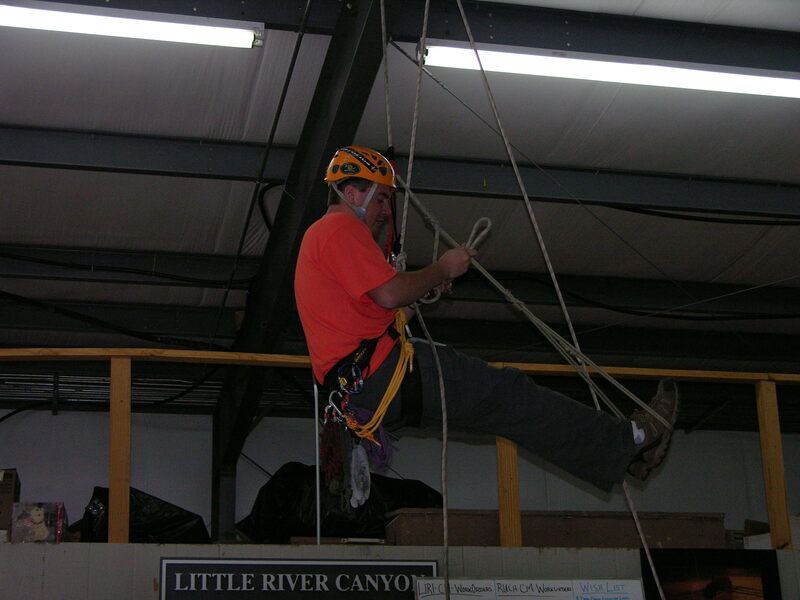 I was also privileged to meet company reps. from Sterling Ropes, Metolius, and Petzl. All of them were great guys, and after seeing some demonstrations and talking to them I have even more respect for the products they represent. I also discovered that my tent is not as waterproof as at first I thought. It turns out that the seam around the bottom, where the floor meets the walls of the tents, leaks like a faucet. I also accidentally pitched the tent in the low area of the campground; I woke up with an indoor swimming pool in my tent. While having an indoor swimming pool on my property would normally be wonderful, when your property is a tent it’s much less desirable. My thermarest became my life raft, and I ended up moving my tent in the middle of the night to higher ground. I’ve included some pictures below. You can find a video of the falls and a panorama video of Little River Canyon at the Mountain Ramblings Youtube Channel. Enjoy! 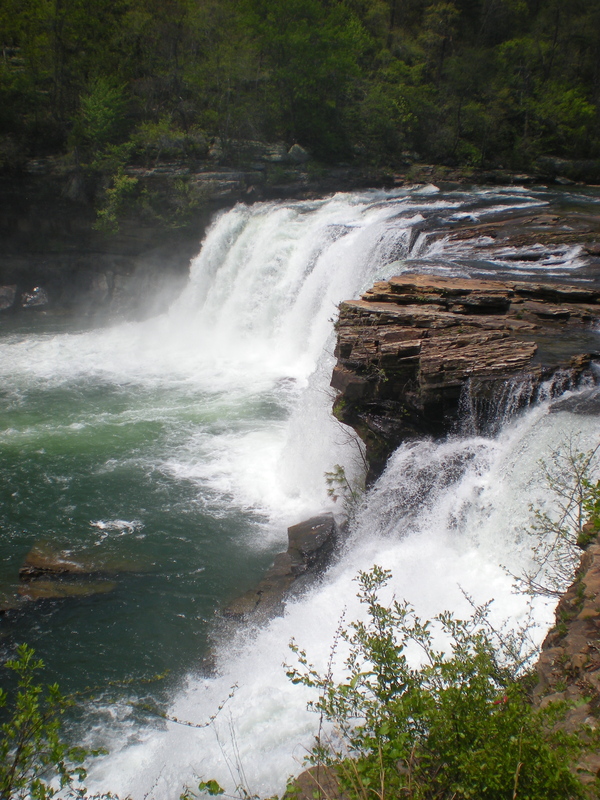 The falls at Little River Canyon National Preserve. 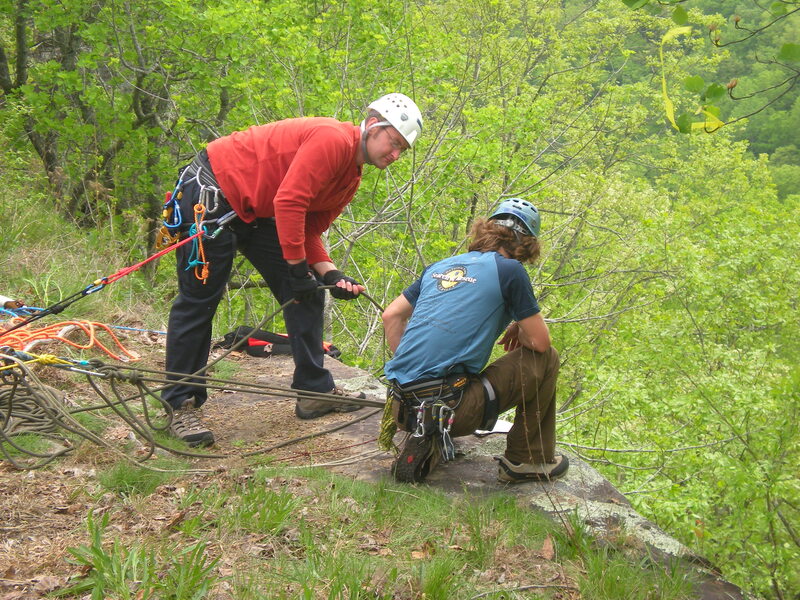 Ben and Chad work at the edge during rappel training. Rigging a back tie with Ben. Chad goes for a ride in the Stokes basket. Clint is working as Litter Attendant, and Matt and Todd are helping out at the edge. If anyone ever tells you that ascending a rope is easy, don't believe them. It's plain, hard work. Just for the record, I didn’t go to the Banff Mountain Film Festival. However, I’ve found something cool. On Youtube, National Geographic has been posting short excerpts from some of the films submitted to Banff; they are excellent, and I’ve been impressed. Ultimate Ride: Renowned kayaker Steve Fisher brings together a crew of big-water pros to experience the force of Africa’s mighty Zambezi River. Steeped in the brotherhood of kayaking, the team runs head-on into two missions: taking on some of the most radical rapids ever recorded and helping a Zambian community face up to the river spirits that control their destiny. Follow Me: You’re at the head of a trail you have never ridden before. With a knowing look, a friend turns to you and says, “Just follow me!” Whoever says it makes a pretty big difference for what lies ahead. Whether it’s a good idea or not, we almost always drop in. From sending giant step-downs to high-speed trails, it’s always better to share the ride. Tuzgle: In November 2008, Swiss climber Nina Caprez and nine Frenchmen travel to explore a new climbing spot in Argentina. Nested at 4,200 meters of elevation under the Tuzgle volcano, this altiplano is littered with an unexplored wonderland of boulders and crags. As days fly by, the group realizes that the true value of its discoveries is way beyond its expectations. Light the Wick: This film is about sparking the flame and watching the world’s best athletes blast off. Once again, TGR’s crew of athletes and cinematographers have raised the bar with some of the ski world’s most jaw-dropping footage. Follow the crew as they discover the previously unskied big-mountain playground of Petersburg, Alaska; enjoy epic powder play at Jackson Hole, Wyoming; and tear up the park at Stevens Pass, Washington. Why Does This Always Happen On My Days Off? Just a question; why, why why is the weather so nasty on my days off? Take this past week. The weather was beautiful; sunny, with temperatures in the upper 60’s and even mid 70’s. I was so excited because I had Friday off, and I made plans to go climbing. After such a beautiful week, what could go wrong? Apparently plenty. The weather forecast on Thursday night called for an 80% chance of rain through the whole day with temperatures in the low 50’s. Crap. 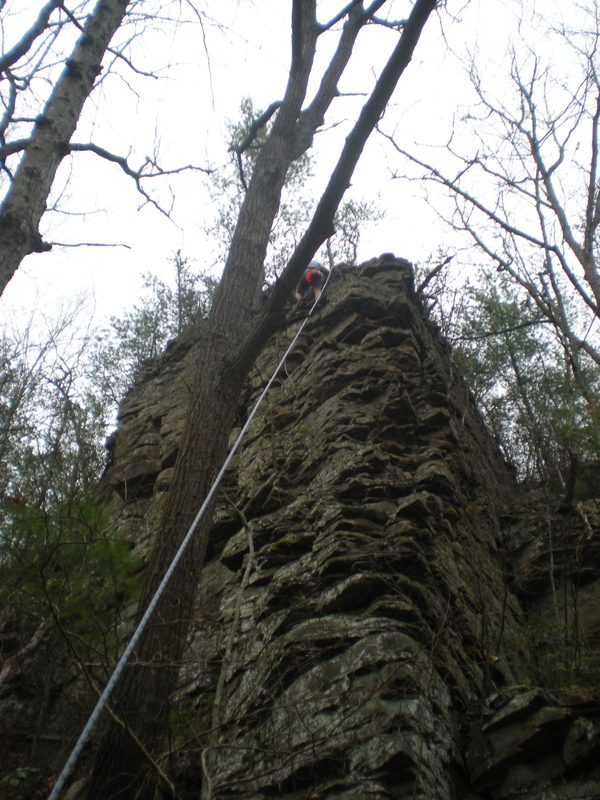 We decided to go anyway and try to grab some climbing before the rain hit in the afternoon. And we did get some good climbing. But sure enough, but about 11:30 the rain rolled in and shut our show down. 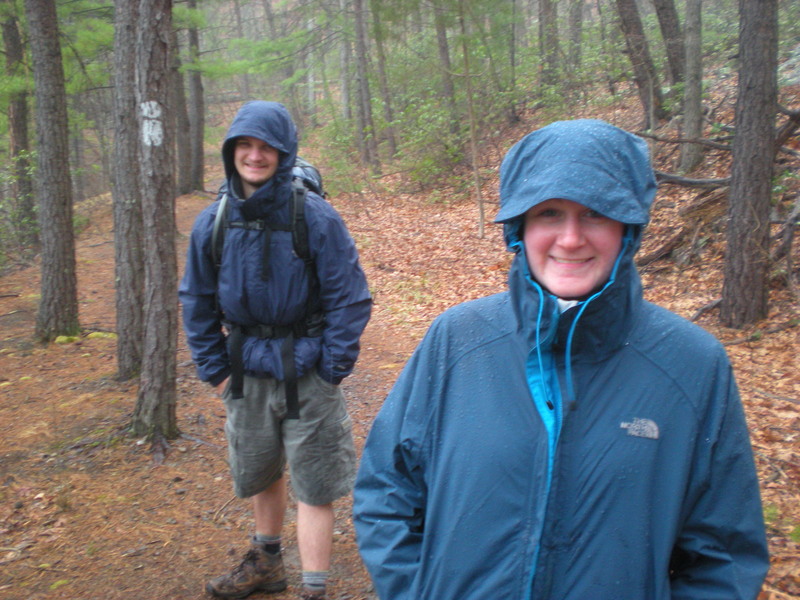 A cold, wet hike out. On top of that, it appears my raincoat is leaking in the arms. Still, a successful day for what we wanted. Don’t get me wrong; I understand it is spring and that the weather is highly variable. But beautiful weeks with bad weather on my day off is becoming such a regular thing that I’m almost willing to bet money on it. Remember my earlier post about movies based on outdoor adventure activites? And how I said they never live up to expectations? 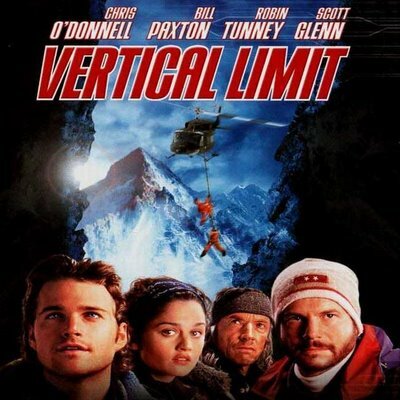 We’re going to watch Vertical Limit, which is the mac-daddy, big cheese, “Oh-crap-here-comes-the-Hindenburg,” mother of all stupid outdoor movies. Wish us luck, and may God have mercy on our souls.